Candy Factory. Controller Checking Conveyor With Candies. Description: Candy factory. Controller checking conveyor with candies. 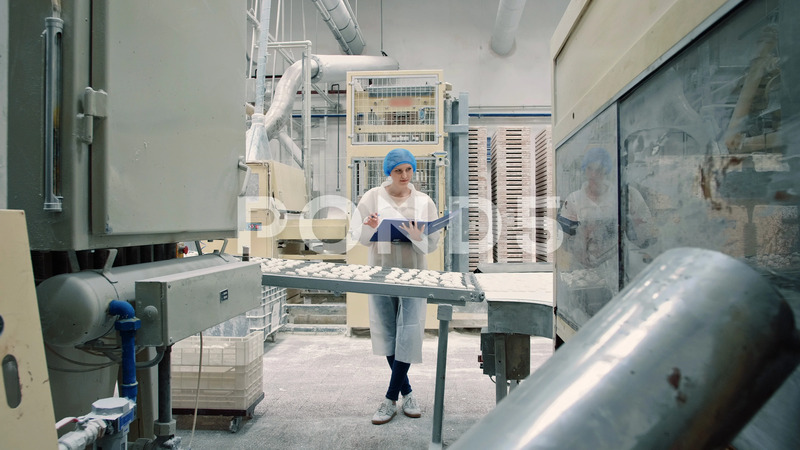 Young woman in uniform holding folder and inspecting conveyor belt with fresh candies in confectionery factory.